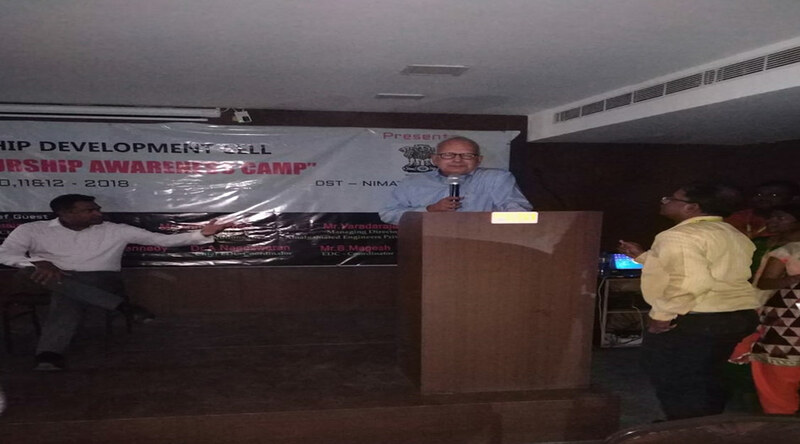 An DST – NIMAT Sponsored entrepreneurship awareness camp was organized on 10th 11th and 12th of September 2018. 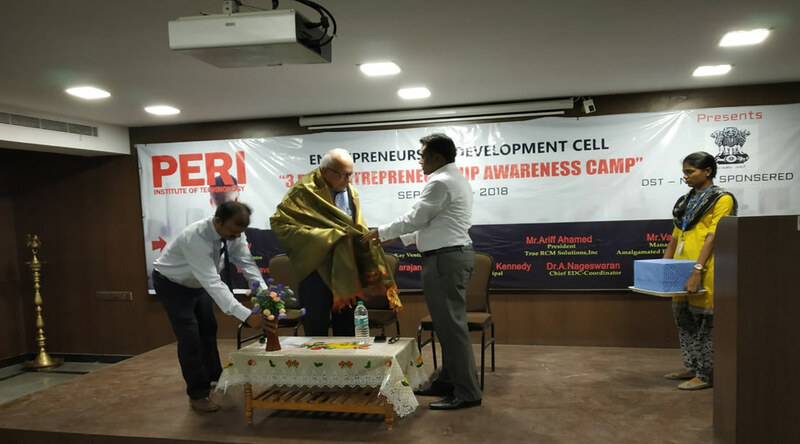 The chief guest of the programme Mr.V.Sethupathy, Manager, District Industries Centre along with Our Honarable ChairMan Mr. Saravanan Periasamy inaugurated the function by lighting The Lamp. Dr. PalsonKennedy Principal PERIIT, Welcomed the gathering and congratulated all the students on their interest towards Entrepreneurship.In His note he added , “Government of India is taking many initiatives to build entrepreneurial ecosystem in the country by imparting quality entrepreneurial education at the college level and PMKVY is such a scheme that builds the system of producing successful entrepreneurs.” He advised the students to make use of this great opportunity to get certified by the Government of India. 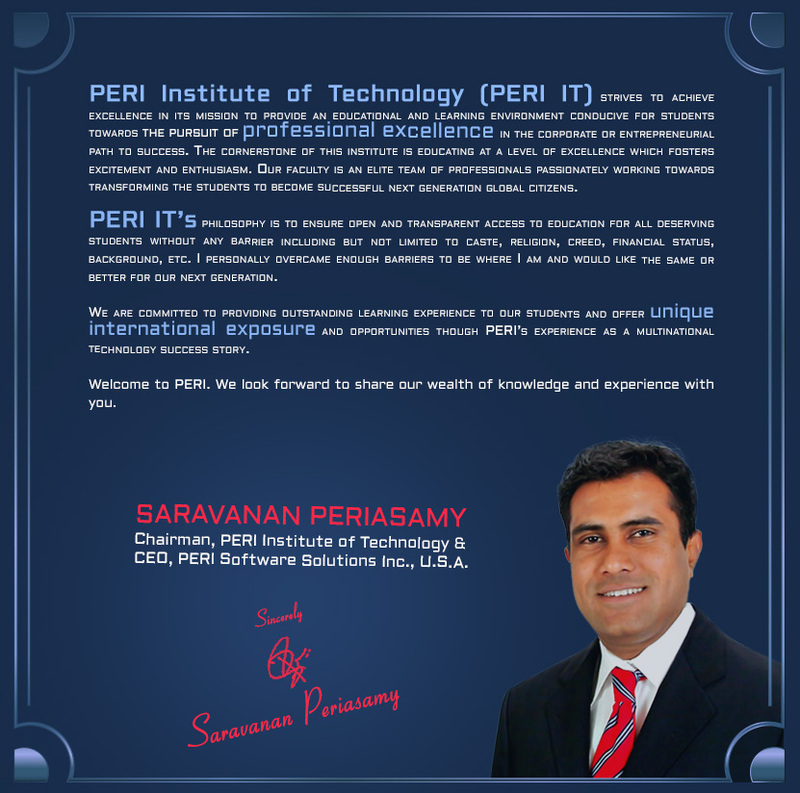 Mr.SaravananPeriasamy, Chairman of PERIIT begins the first session of the day with the key note on “Emergence of Entrepreneurs”. 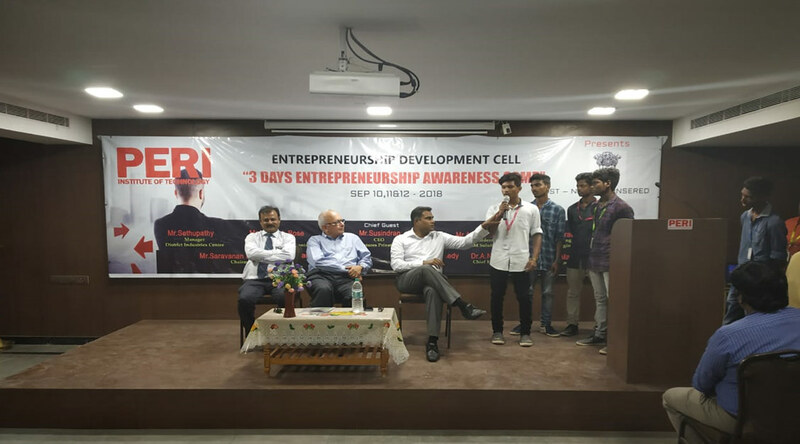 He interacted with the students that what drives them towards to become an entrepreneur and who are really interested towards achieving it. Many students from audience replied to his question skillfully, and then he picked the replies and gave a good suggestion which was really needed for the students. Mr.Magesh, Asst. 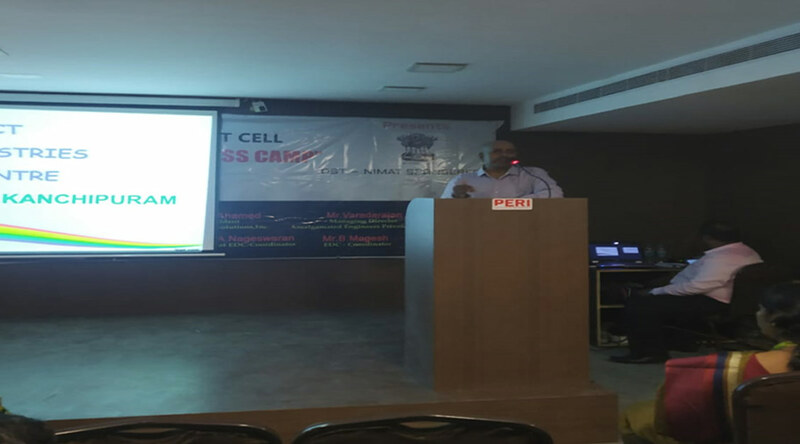 Prof and Coordinator ED Cell introduced Mr.V.Sethupathy, the resource person, to the audience. 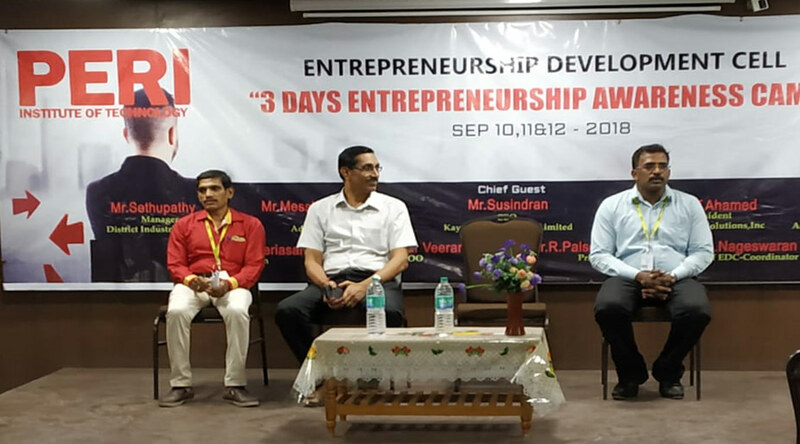 Mr.V.Sethupathy the chief guest of the session talked about Secure Financing For New Business also \covered ‘Practicing entrepreneur’s success stories – common problems faced by entrepreneurs’. He defined entrepreneur and explained principles in entrepreneurship. He also encouraged students to pursue their dream no matter what it may be. he gave wonderful examples about stakeholders and how not to be discouraged by criticism. He made students aware of the importance of learning and using English on their own. He further explained the term ‘start-up’ and the help of government for giving on start-up based opportunities on criteria up to 5 years.he also advised them to consider the government policies for training. he said “If you want to do successful business then be different from others, read success stories, do smart work, know the causes of failure in business and learn team work”, and explained how to analyze, take good and ignore the rest. 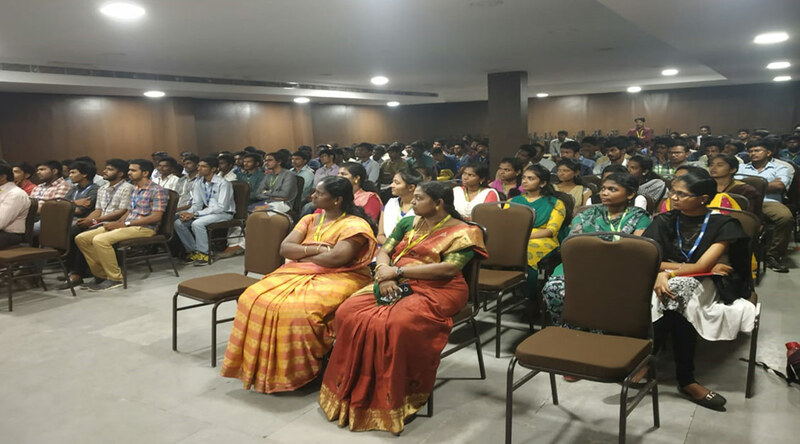 It was an informative motivational talk which was needed for the students; they gained awareness about the government loans and subsidiagainst the total amount. Session III The chief guest Mr. Messiah Bose, Director, Alder Instruments. In his speech he Highlighted Qualities to become an entrepreneur, and Intrapreneur. The role of entrepreneurship in economic growth of country and also highlighted problems faced by entrepreneurs to start new venture and solutions to address them. He talked about the merits and risks of becoming an entrepreneur; He explained the types of entrepreneur clearly to the students. He suggested students to get benefited from various programs of govt of India under ministry of industries for initial capital investment and also explained the procedure to be followed to get register startup companies. Then the session ended with video of the young disabled entrepreneur which made the students to get enlightened with the chief guest speech. Having inspired by the first day speech of chief guests. 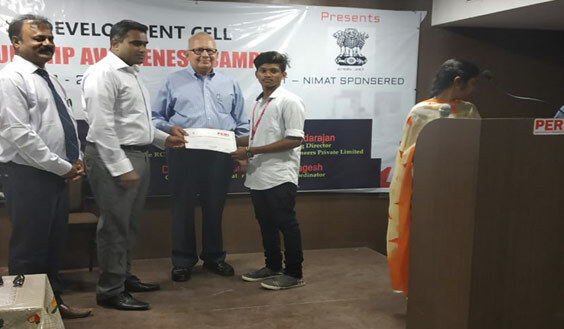 The students was able to learn about the management skills which is required to do a business and they gained a knowledge about how to start a business and how to overcome the difficulties and obstacles which they need to face in a business life. The day started with motivational thought that arouse spirit among the students. 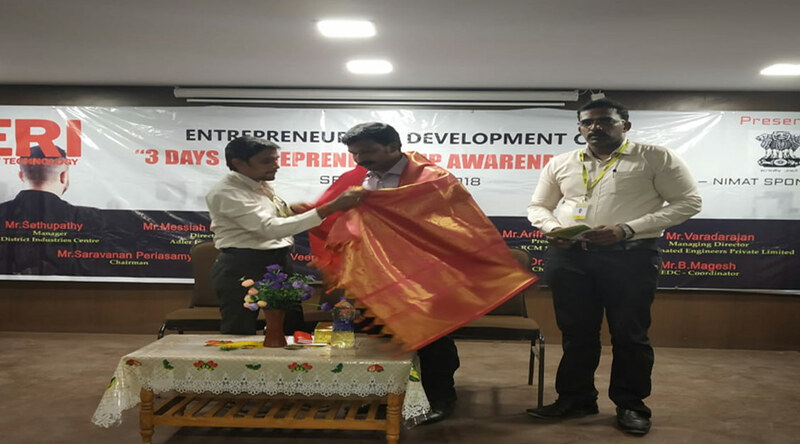 The felicitation was done by the Chairman Mr.Saravanan Periasamy then followed by the welcome address of the chief guest Mr.SusindranSwaminathan, CEO Kay ventures private limited by the student Anirudh, final year civil department. Then the chief guest addressed the students by his wonderful speech, He draws the relationship between love and business which aroused the students attention. He entitled his speech by Highs and Lows of Entrepreneurship. Then he spoke about the incubation centre which is a platform in which we are committed to provide all the facilities which are required for the startup communities and advised the chairman to have an incubation center in college premises.He gave collective information about the procedure for applying a loan also he covers Transforming Global Economy. the students. He suggested students to get benefited from various programs of govt of India under ministry of industries for initial capital investment and also explained the procedure to be followed to get register startup companies. 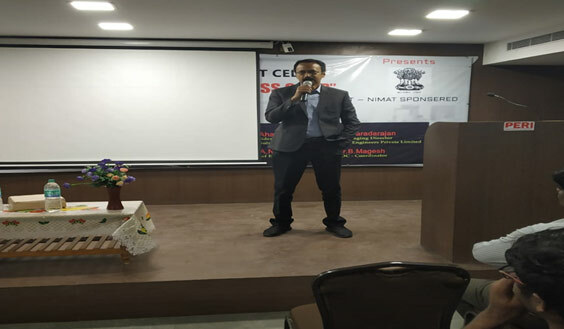 At Session 8th Mr Arif Ahmed, President, True RCM solutions addressed the gathering about how the successful entrepreneur should be by narrating his own story. He spoke about the IT scenario for Entrepreneurs and insists the importance of Team Building and self Assessment in becoming an entrepreneur. The day ended with the good thoughts of becoming a entrepreneur. 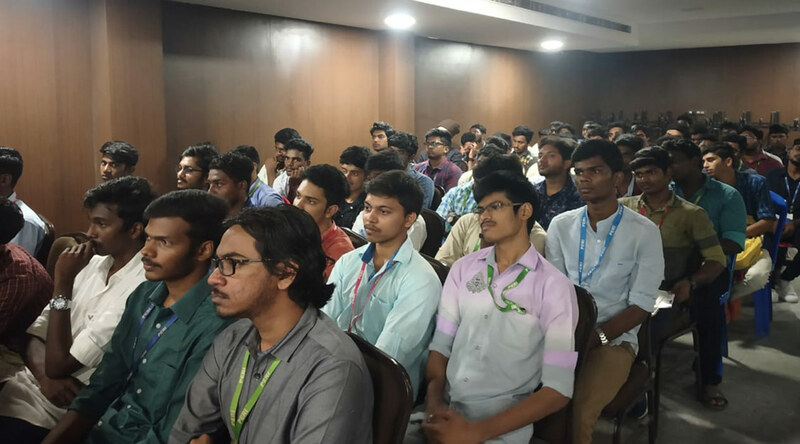 The session started up with the field visit by the students to Super Auto Forge Private Limited, Chennai. 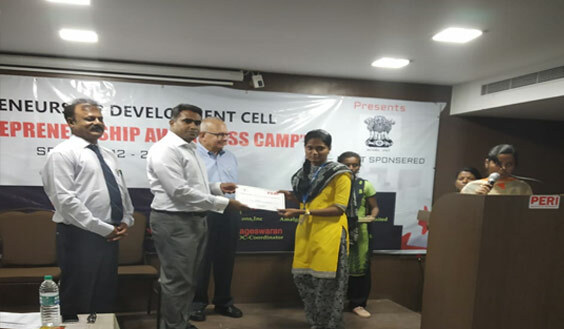 After two days workshop and to gain the practical knowledge this field visit was much helpful for the youth budding entrepreneurs. 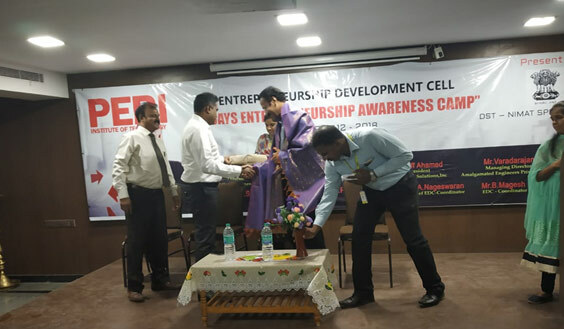 Afternoon session started around 2 pm with the felicitation for the chief guest Mr.Varadarajan M.D., Amalgamated Engineers private Limited, by the chairman, followed by welcome address by the student of ECE department. Finally the programme ended with National Anthem.